Idioms in any language are phrases that are not well explained by literal translation. 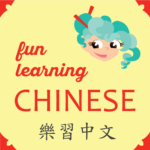 I have been introduced to some counting idioms as my Chinese tutor and I work on translating my (English version) children’s book A Million Rocks. The book is about *almost counting words* – words that imply size or amounts without referring to actual numbers or exact amounts. All of the following Chinese 4 words idioms mean “very few.” The first three can be used regarding anything, but the last one is reserved for people. Although the translations are not literal, there are things about the characters and their meanings that can be used to help remember them. This makes more sense when you know that Chinese speakers have a way of counting to ten on one hand that involves some finger bending. But is also means that when a Chinese person says that there were so few that the amount could be counted on one hand, it might be as many as ten. These days there are very few scholars who understand ancient (Chinese) inscriptions. This restaurant is not doing well as a business; there are always very few customers. Only a very few people came to see his art exhibit. This store has very interesting merchandise to sell; indeed, I don’t know why, in spite of this, it is practically deserted and hardly selling anything. I recommend you try saying each idiom several times in a row. It will help to get the word pattern in your mind and in your tongue’s muscle memory! If you only practice a very few times, I am afraid you won’t remember. Remember that if you sign up for my newsletter you get access to my private resource page which includes many printable pdf’s of lessons and blurbs! See the link in the top part of the left sidebar.